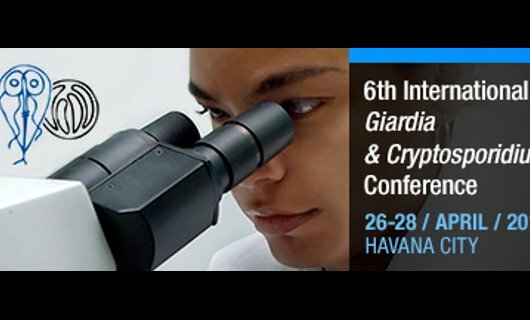 In April, Dr Juan Carlos Garcia Ramirez travelled to Cuba to attend the VI International Giardia & Cryptosporidium Conference. The conference was an excellent opportunity to present the latest research findings from our group and discuss within a truly interdisciplinary scenario with professionals around the globe. The scientific programme of the conference embraces all aspects of research on these two parasites (global and public health, zoonotic aspects, practice of disease surveillance, transmission in food and water, cell biology, etc) and included keynote lectures presented by international experts in their fields, poster session and workshops. This is the world's largest scientific meeting dedicated to improving the knowledge of these two diseases/parasites. This event also facilitated interaction with scientific professionals (e.g. Prof. Una Ryan from Murdoch University, Australia) who share a common interest in Giardia and Cryptosporidium and offer insights of latest progress in the field towards future contributions of IDREC and New Zealand in general, which ultimately will generate a major impact for the country. Dr Garcia Ramirez presented two posters entitled "Local and global genetic diversity of protozoan parasites: Spatial distribution of Cryptosporidium and Giardia genotypes" and "Origin of a major infectious disease in vertebrates: The timing of Cryptosporidium evolution and its hosts" and was funded by MicroAqua Tech and IVABS.